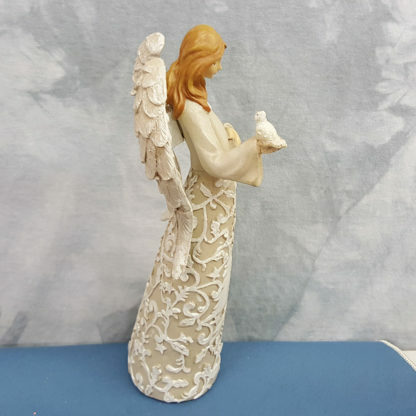 9″ Paper Cut Scroll Angel Holding Dove Figurine Church On Dress Figurine. This statue is made of resin. She has a paper cut scroll work theme. 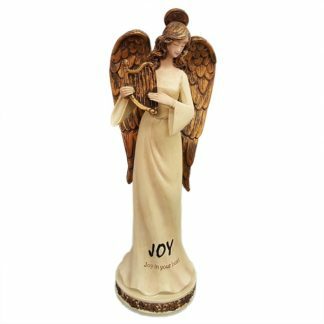 This item measures 9″ tall and is 4″ wide. 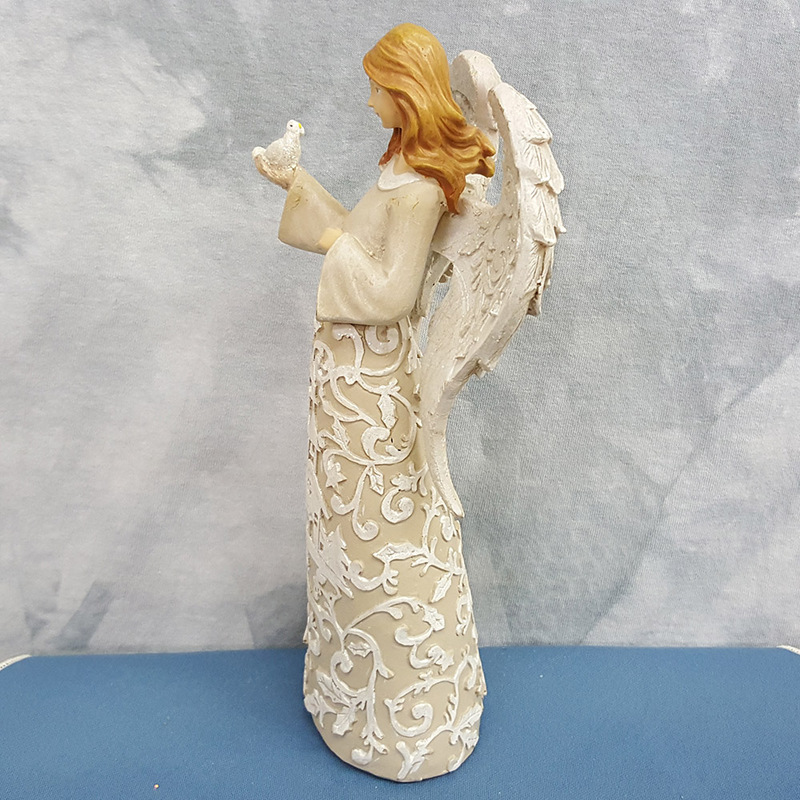 This item is wonderfully hand painted and features a hand painted Praying Angel. Roman Inc Paper Cut Look Angel Figurine Dove. 9″ Paper Cut Scroll Angel Church On Dress Figurine. From the Winter Whisper Collection. This statue is made of resin. 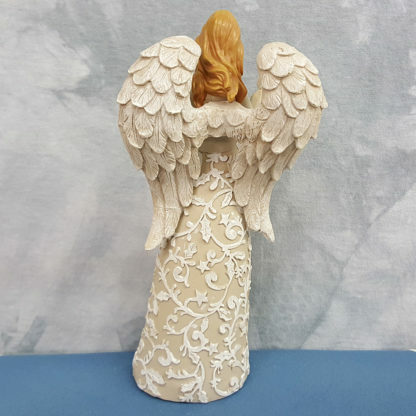 Beautiful off-white angel with a raised scroll-work design on the lower part of her dress and wings. The design features a church. She is holding a dove in one hand. 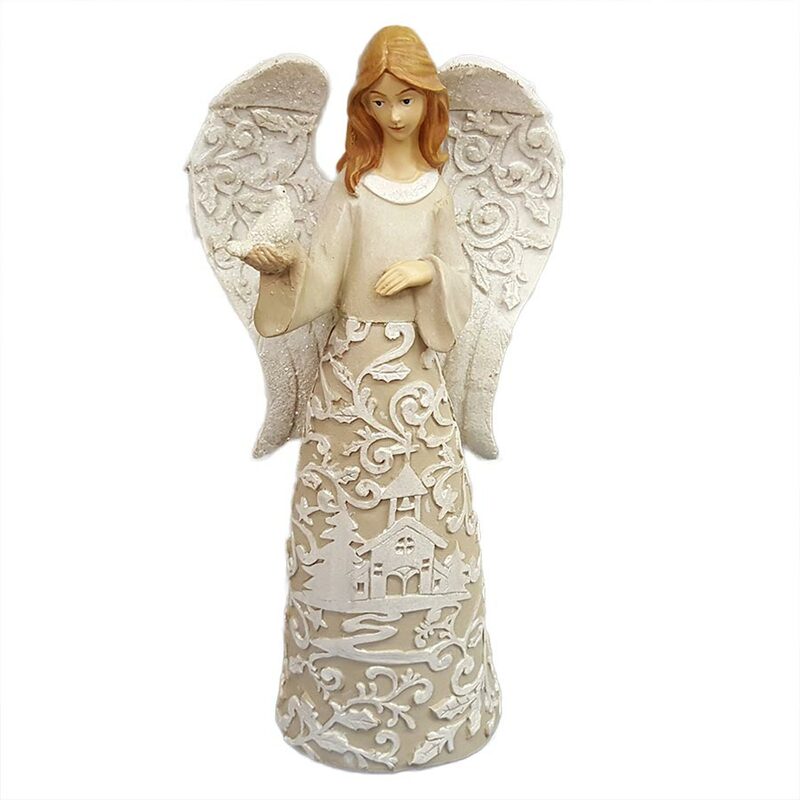 This item measures 9″ tall and is 4″ wide. This item is wonderfully hand painted and features a hand painted Praying Angel. Wonderful gift for the holiday or Christmas season! Would go perfectly with a nativity or by itself. 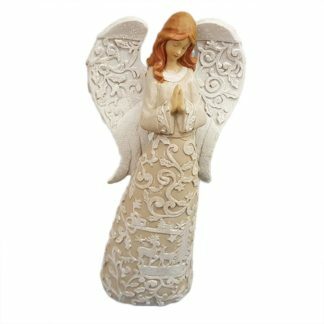 Also would be a great present for someone who collects angels or other pieces by Roman Inc. Stop by and get yours today!